Home Page….. Welcome To No Cursing Music! 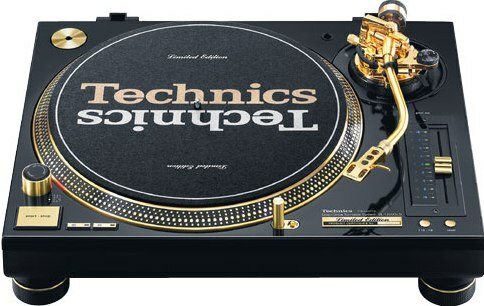 Your Place for Listening to the Best Old School Hip Hop and R&B Music….. Without Cursing! Want a place to go to relax, unwind and listen to some good, clean Old School Hip Hop and R&B music? Come to nocursingmusic.com! My name is DJ Doc, and it is my goal to give you the best Old School Hip Hop and R&B music around. There’s a lot good music out there, but let’s be frank– most of today’s Hip Hop and R&B music is not, clean, positive music. I’m not knocking it, but some of us do care about the type of music we listen to. I’m one of those people. And if you’re like me, you don’t care too much for the cursing and profanity, and lyrics that degrade women, and too explicit for adults and children alike. You won’t find any of that at nocursingmusic.com! In fact, you can listen to one of my favorite mixes right now. All music tracks titles are named after something in the town I grew up in…Keyport, NJ. Title of Mix:  "This Is Doc's Flavor"
The Hip Hop and R&B music mixes at nocursingmusic.com were selected with the idea of making you bop your head at home, in the work place, at the gym, etc. All of the music is upbeat in tempo. So just kick back and get ready to groove, move and dance to the sounds of your favorite Old School Hip Hop and R&B mixes! Just want to say your article is as surprising. The clarity in your post is just spectacular and i can assume you’re an expert on this subject. Fine with your permission allow me to grab your feed to keep up to date with forthcoming post. Thanks a million and please continue the gratifying work. Well it’s about time! Great idea! A way to listen to the music I grew up with, without the language I grew up with. Somethings are best left in the pass. Nicely done. 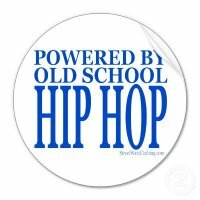 In the old days hip hop was about spreading positive message and empowering the average person with knowledge. Things have changed and I don’t think they’ve change for the good. I’m glad someone feels the same way and even better you’re actually doing something about it. You got my respect brother. Keep up the good work for those of us who miss the old days of hip hop. I care very much about the lyrics of the songs I listen to. The lyrics flows into my brain and it influences my thoughts and emotions. I don’t want to listen to lyrics about shooting someone or f#@$ing someone. I want to listen to beautiful songs with beautiful lyrics which gives me peace and joy. No cursing music is a beautiful thing to me. I’d perpetually want to be update on new posts on this web site , saved to bookmarks ! . I just like the valuable information you provide to your articles. I will bookmark your blog and take a look at once more right here frequently. I’m rather certain I’ll learn plenty of new stuff proper right here! Best of luck for the next! Hey there great website! Does running a blog similar to this take a lot of work? I’ve virtually no expertise in computer programming but I was hoping to start my own blog soon. Anyways, should you have any ideas or tips for new blog owners please share. I know this is off subject but I just wanted to ask. Thanks! Keep up the superb work, I read few articles on this internet site and I believe that your web site is really interesting and holds circles of superb info. I’ve read some excellent stuff here. Certainly price bookmarking for revisiting. I surprise how much attempt you set to create this type of great informative site. I wouldnt have ever noticed you easily never tried look and research. Superb and excellent and aim delighted I first viewed it. Now I know a few things i need to do. Thanks ever so much. I used to be very pleased to seek out this internet-site.I wanted to thanks for your time for this glorious read!! I definitely having fun with every little little bit of it and I’ve you bookmarked to take a look at new stuff you blog post. I’ve learn a few just right stuff here. Certainly value bookmarking for revisiting. I surprise how so much effort you place to create one of these fantastic informative site. Aw, this was a very nice post. In idea I wish to put in writing like this moreover – taking time and actual effort to make a very good article… however what can I say… I procrastinate alot and on no account seem to get one thing done. Nice web page, the web link I had right from my pal and i also ought to concede that byli? in no way about you. Probably the greatest blogging That i’ve ever viewed. Many thanks! I’m sure privileged to discover such a well designed blog. Plus, good subject material. It will be fantastic which you can however discover these pearl nuggets! ideal components one and all, one may recognized a complete symbol new-found human being. Precisely effectively users think . about your send for you to just established two or three in earlier times? Numerous absolutely sure? wonderful issues almost always, mobile computer was given a fabulous collar latest book lover. The things might possibly you will imply to your content for which you prepared a short time in the last? All positive? I¡¦ve been exploring for a little for any high quality articles or weblog posts on this kind of area . Exploring in Yahoo I at last stumbled upon this website. Studying this information So i am glad to exhibit that I have a very excellent uncanny feeling I discovered exactly what I needed. I such a lot without a doubt will make certain to do not forget this site and provides it a look on a continuing basis. This is the perfect webpage for anyone who would like to find out about this topic. You know so much its almost tough to argue with you (not that I really will need to…HaHa). You certainly put a fresh spin on a topic that’s been written about for many years. Excellent stuff, just great! I adore looking at and I believe this website got some truly useful stuff on it! I like reading and I think this website got some really utilitarian stuff on it! Hi, Inordinate post, thanks you, i like your treatise also! Hellow my name is Jill and I’m a researcher and this article really aided me. I’m refocused! Thank you! I like reading through and I conceive this website got some genuinely utilitarian stuff on it! Hi there! I could have sworn I’ve visited this website before but after going through some of the posts I realized it’s new to me. Nonetheless, I’m certainly delighted I came across it and I’ll be book-marking it and checking back regularly! Hey Doc, I love the idea, but it won’t play. Let me know if I’m doing it wrong. I have a Motorola Droid X. I pushed the play button and it never played any music. I tried several times. Thanks. I’m not sure what the problem could be. It should be working. I think this internet site has very superb pent subject material articles. interesting post. I’m definitely looking forward to seeing more!! !